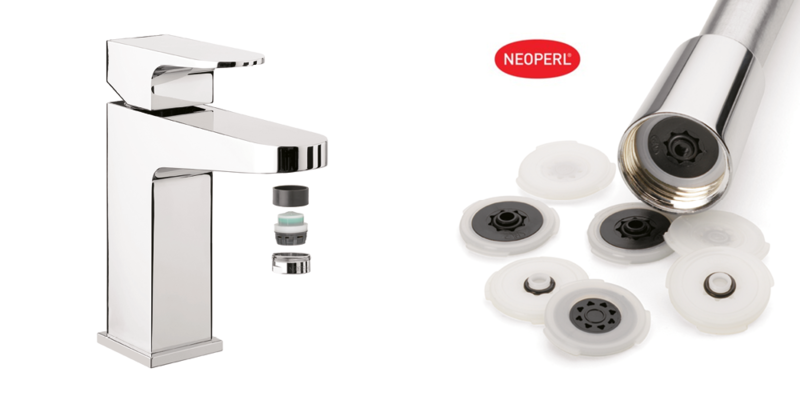 The flow regulator fits into any of the 33 basin tap collections or shower hoses to control the amount of tap water used. Taps are inexcusably water guzzling with some using over 10 litres of water per minute. By leaving a tap running while you are cleaning your teeth can waste about nine litres of water a minute (Defra). For a quick and eco friendly bathroom update that’s affordable, install the latest technologically advanced flow regulator to efficiently save both a huge amount of water and money, whilst also guaranteeing even water distribution. The unique flow regulator technology keeps the flow rate constant across the pressure. Flow regulators are used to maintain a defined flow rate regardless of pressure variations of the water supply line. They can be inserted directly into most fixed showerheads, handsets or basin monoblocs.